World renowned for their tiger population, these parks provide excellent opportunities to observe the magnificent, elusive Bengal Tiger in its natural surroundings. Both parks lie in the heart of India in the state of Madhya Pradesh, known for its rich variety of habitat and wildlife. 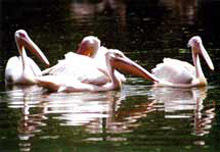 Is situated in Rajasthan, It was declared one of the Project Tiger reserves in 1973. 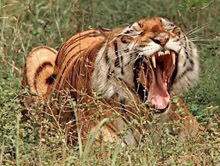 It is famous for its tigers and is one of the best places in India to see these majestic predators in the jungle.Good time to visit the park is in November and May when the nature of the dry deciduous forests makes sightings common. Its deciduous forests were once a part of the magnificent jungles of Central India. 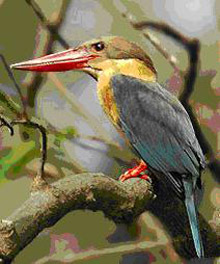 An exciting journey through the heartland of India, a wildlife and birdwatcher`s paradise. This tour includes some of the finest national parks in the subcontinent and you are likely to see many of the species that India is noted for, including the elusive tiger in the spectacularly wild place where they live and also leopards, sloth bears, hyenas, sambars, langur monkeys and a wide variety of birdlife. The essence of this tour is that it allows you the privilege of staying in these wild places, miles from anywhere, in surprising comfort. Also included is a visit to the world famous monument of love- The Taj Mahal, famed temples of Khajuraho & Jaipiur, the pink city. Day 01 -International arrival at Delhi. Meet & assist at airport and transfer to the hotel. Day 03 -Leave Delhi for Jhansi by Train. Afternoon / eve tour of Orchha. Afternoon tour of the famed temples. Afternoon Game Viewing by jeep. Day 10 -Morning Game viewing by jeep. Later, drive from Kanha to Jabalpur in time to board the overnight train to Agra. Day 11 -Arrive Agra early in the morning. Breakfast in local restaurant and proceed on a tour of the World famous Taj Mahal. Later,drive from Agra to Bharatpur visiting FatehpurSikri enroute. Bird watching by rickshaw or by foot in the sanctuary. Day 13 -Morning and afternoon Game viewing . Afternoon Jaipur city tour. Eve at leisure . (hotel can be organised in Delhi to freshen up / wash & change before boarding flight ). These tours represent our ideas and recommendations and is a glimpse of the astonishing ways you can discover India. If you have any thoughts, stirrings or feedack, do get in touch. Together, we can personalise your trip and make it a memorable experience.